Takumi Japanese Sushi and Hibachi in Nashua has been open for many years now. Although the Mo and I aren't regulars, we try to get there at least once or twice a year. I'm not sure why we don't go more often because the food is great. We had to run errands in Nashua today so we made our way to Takumi after our morning sweat session at the gym. Talk about caloric cancellation. On the weekends, the restaurant opens at noon. We arrived a few minutes shy of 12 and waited in the lobby where there is a koi pond. Although the restaurant has been there for many years, the interior is up to date, clean and modern. There are a few different rooms, one for the hibachi tables, one by the sushi bar and another for private events. The staff was setting up the restaurant and putting out food for the "Teppan Express Lunch." 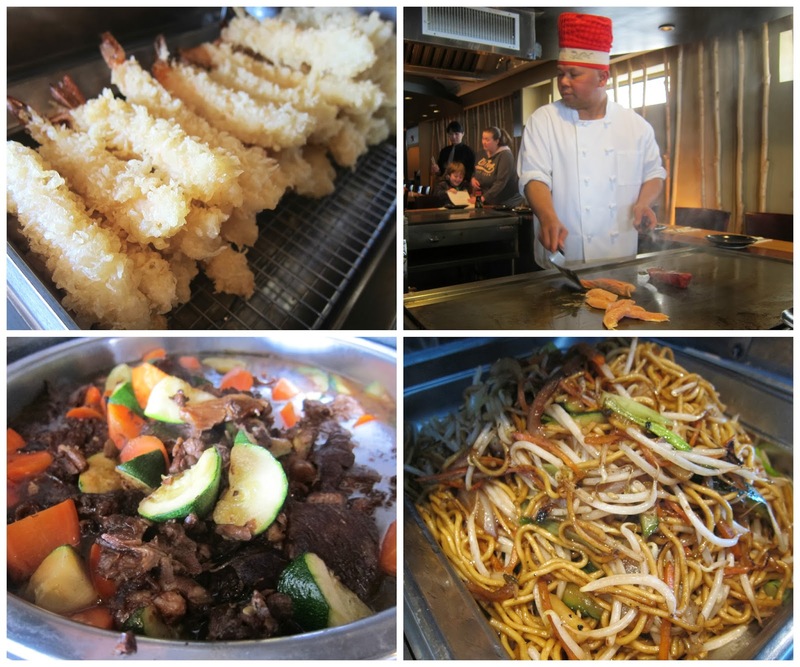 Guests can choose an item to be cooked on the hibachi grill in addition to eating from their buffet "Express Stations." We were sat at the hibachi stations and the waiter came to take our drink orders and asked if we were doing the "Express Lunch." We ordered our grilled entree choices, I got the chicken for $ 10.95 and the Mo got the beef option for $ 12.50. Miso soup or a small side salad is included with the meal so I got the soup and he got the salad. The "Express Station" was nearby in the same room as the hibachi grill and we made our way there after our soup and salad was served. 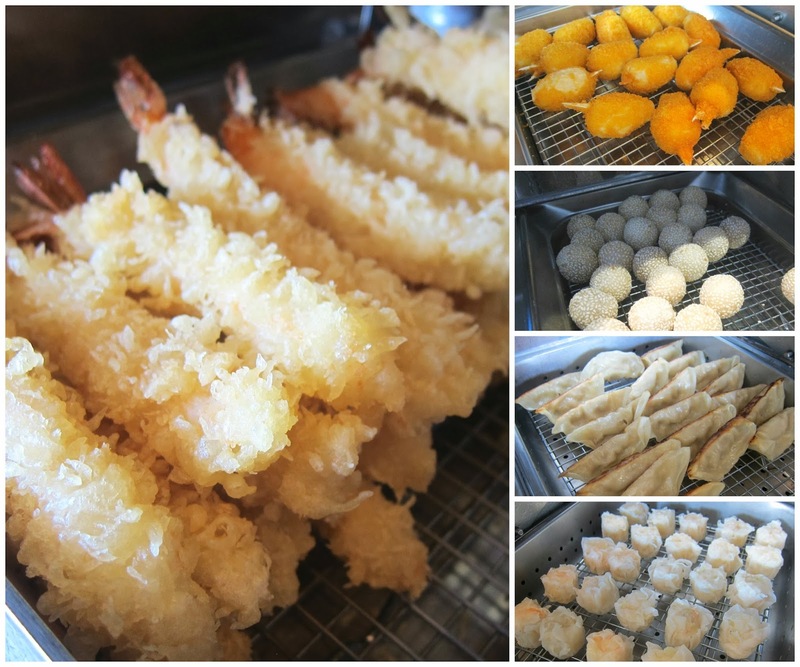 The Express Station included a variety of Japanese and Asian appetizers that included shumai, pork giozas, shrimp tempura, maki roll, crab rangoon and vegetable spring roll. 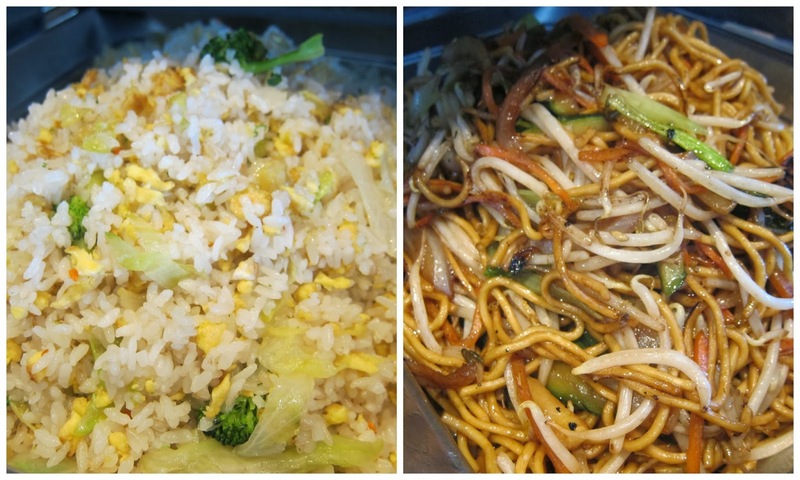 For entrees and sides, they had vegetable rice and lo mein, beef stew, chicken and tomato stew, and stir fried string beans. There was also a sauce and condiment station that had duck sauce, tempura sauce, gioza sauce, wasabi and pickled radish. As we headed back to our seats, the hibachi chef arrived at our grill station and started preparing our meal. Since it was lunch, he wasn't as interactive and "comical" as expected. He quickly cooked all our meats for our station along with many other orders for the restaurant. He was really friendly and gave us morsels of other meats and calamari to try. For a little sweet ending to our meal, there were sesame and red bean balls. 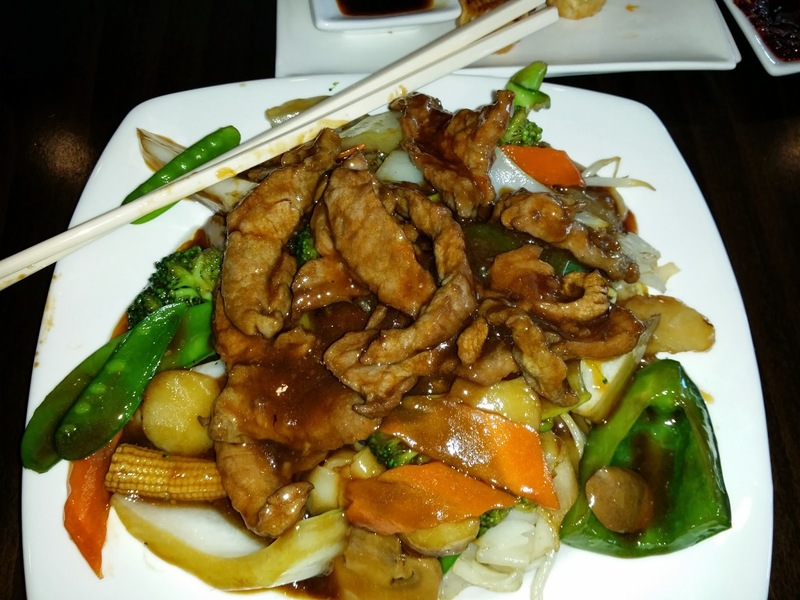 The Teppan Express Lunch is a great deal. You can totally walk out of there stuffed for as low as $ 10.95.